So much yarn, so little time. : too big a beach? We went house-hunting in Greatstone yesterday. The tide was out, sandy beach looked nice...until we realised how utterly huge it is! 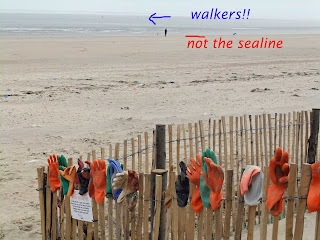 I took this photo because I was amused by the way walkers had decorated the fence with lost gloves. 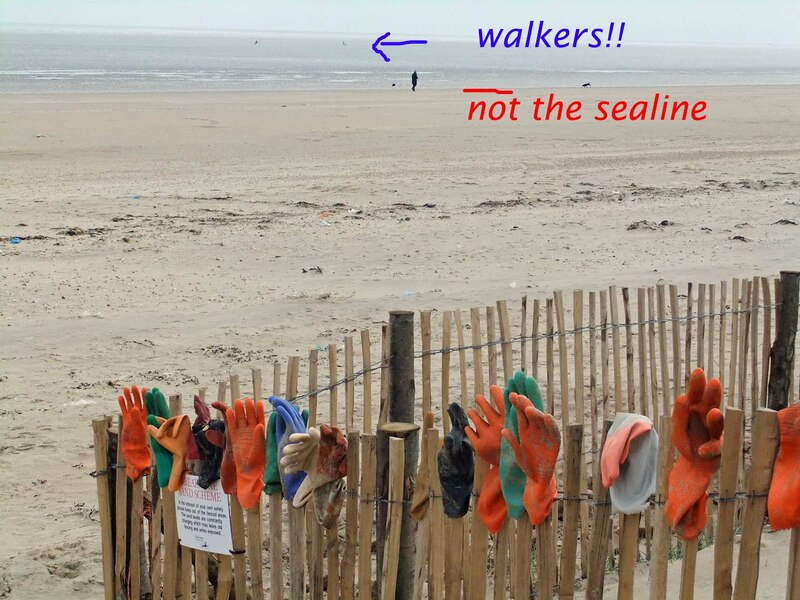 I had incorrectly thought the wet line (marked in red) we could see was the sea - but no, it went out for a good half mile and there are lots of mud pockets as you walk seawards, kept thinking I was going to be swallowed up by quicksand!